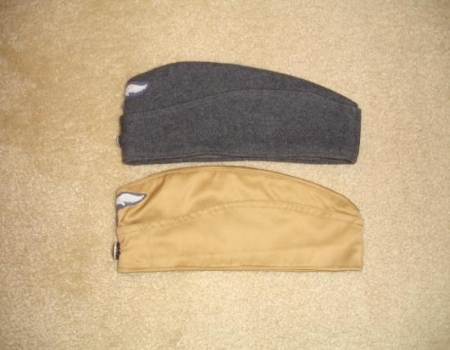 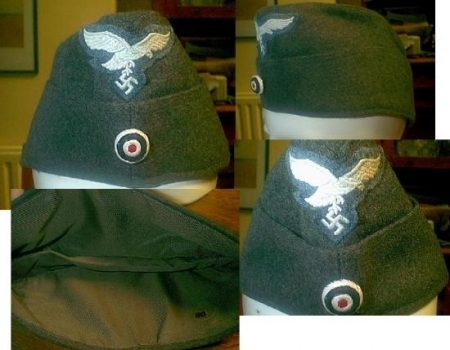 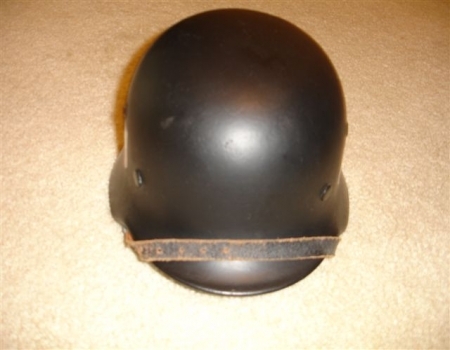 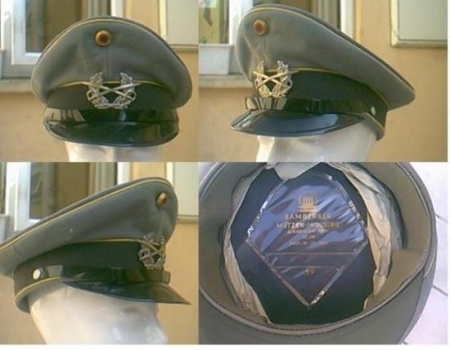 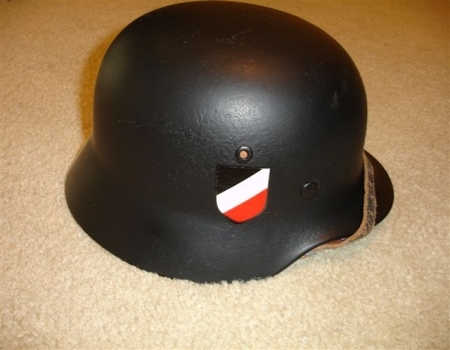 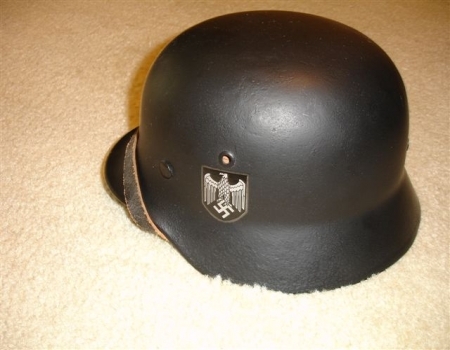 I believe this to be a reproduction of a WWII German Army cap in the left photograph. 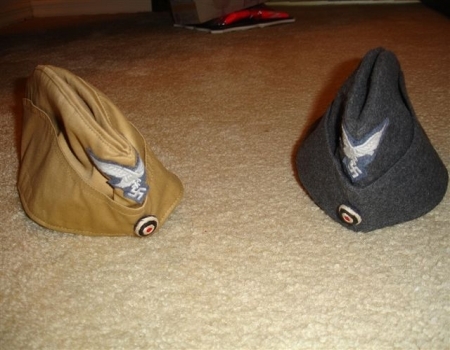 East German cap on right. 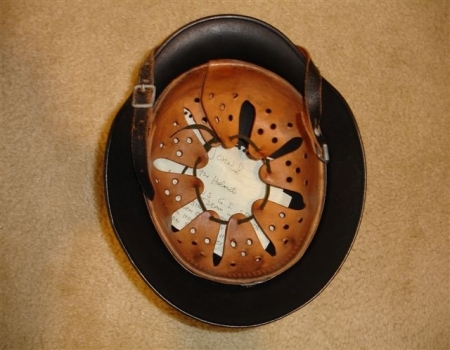 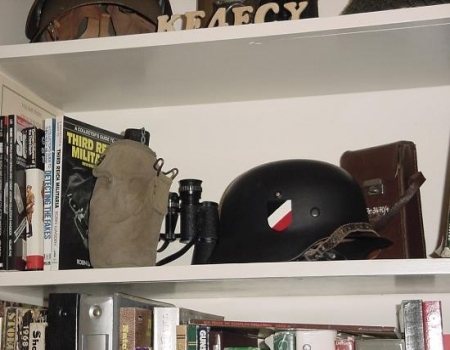 The helmet in it's display position.